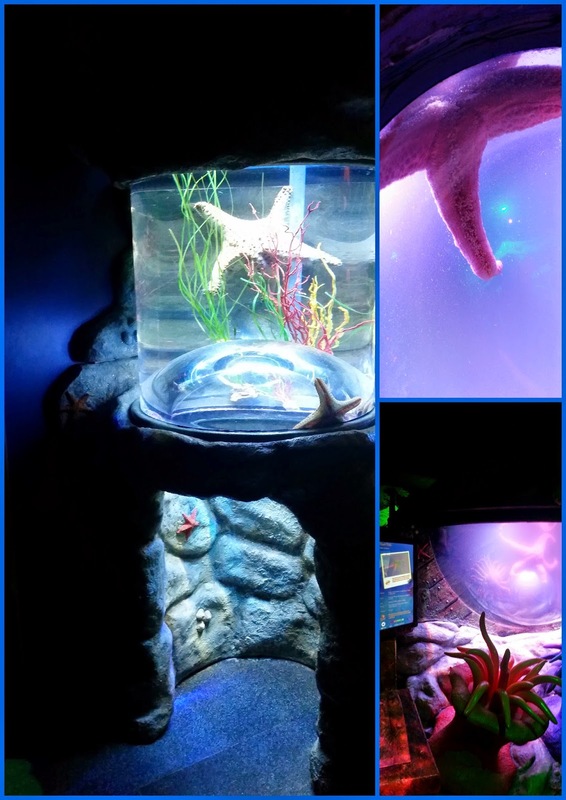 There's a brand new Sea Stars feature at the Birmingham Sea Life Centre this Easter. This new exhibition lets you get up close and personal with their newest friends. Discover their Pop Up bubbles and peek-a-boo holes which let you marvel at the variety of shapes, sizes and colours of the world's largest Sea Stars. It's all very new and exciting. 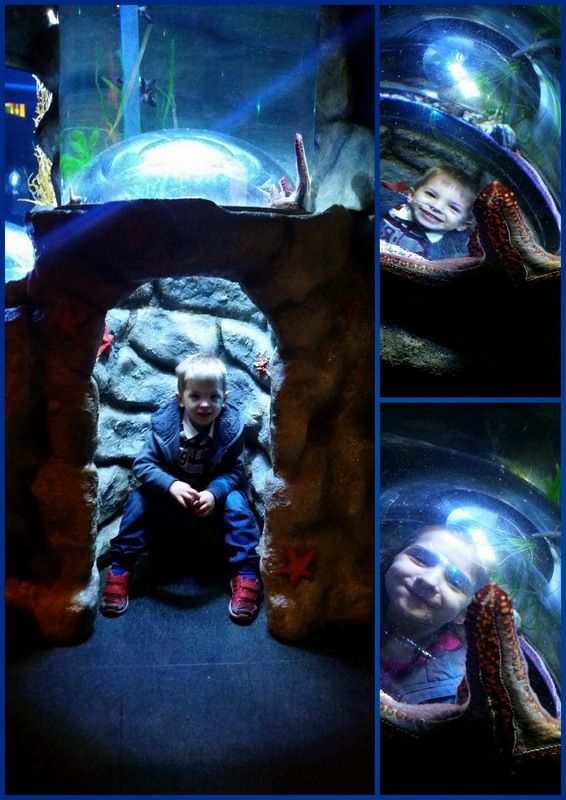 We went along to check out the new Sea Stars for ourselves yesterday and I have to say, the kids had a wonderful time. The new exhibition features Pop Up bubbles which let you get inside to get a different view of the Sea Stars. From inside the bubbles you could see them from underneath, showing you their incredible details like never before. There's lots of Peek a Boo holes which let you look inside their tanks to see them from lots of different angles. Inside their largest tank was a giant male star who had been rather excited on his first day. You can see him above in his somewhat 'cloudy' tank which he had made that way by himself when he released his fluids in hopes of attracting a female. The lovely man we spoke to, told us all about it. It was really interesting and great to see as apparently they don't do it very often. He just so happened to do it on that day - I think he was feeling a little shy and trying to hide on his first day. Either way he was great! 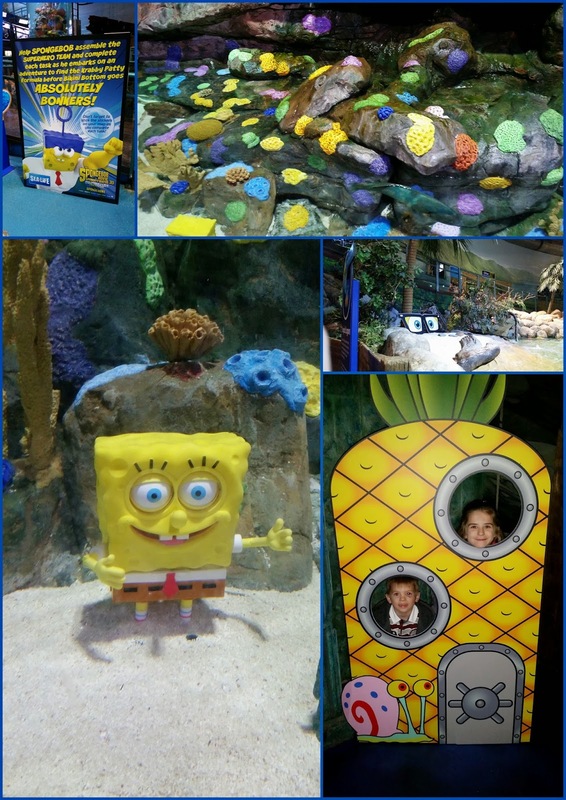 Also at the Birmingham Sea Life Centre this Easter Half Term you can join the SpongeBob Hunt which will be running from March 27th - April 19th. Help SpongeBob find his friends who are hidden throughout the Sea Life centre so that they can go on their most super-heroic adventure yet to find the missing Krabby Patty formula. There's also a Sponge painting activity room where the little ones can create their very own sponge painting masterpieces. My youngest two loved painting with sponges, it was great fun. There really is lots to see and do at the Birmingham Sea Life Centre this Easter. With the new Sea Stars and the SpongeBob Hunt, there's lots to keep the children entertained. As well as the new features there's still the old favourites to enjoy too. We always stop by to say Hello to Big Bad Barry (The fish from Ben and Holly) who's in the large tank. The Rays and other Fishes are always getting up to mischief that we love to watch. Last but not least is our favourite part of the Birmingham Sea Life Centre, the Gentoo Penguins. 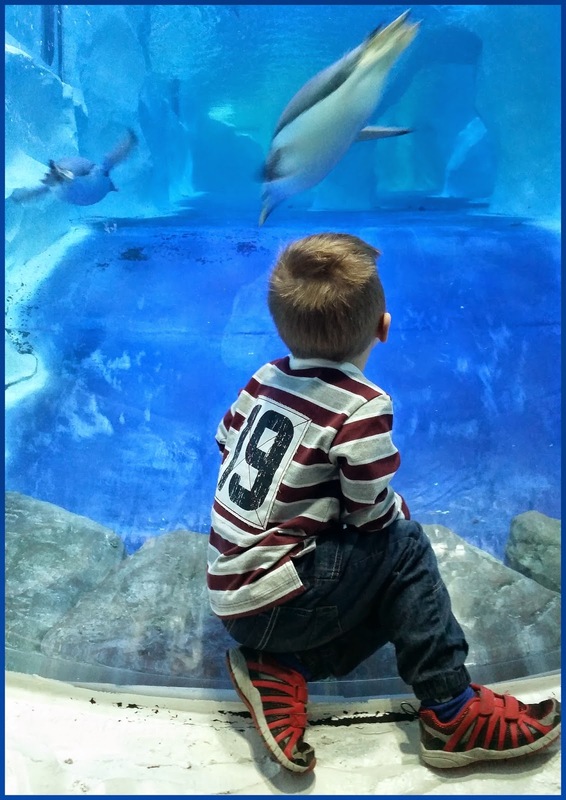 My little ones and I love watching the Penguins, they're always happy to entertain the crowds with their silly antics and super swimming techniques. WE could happily watch them for hours which we often do as they're just such super characters. 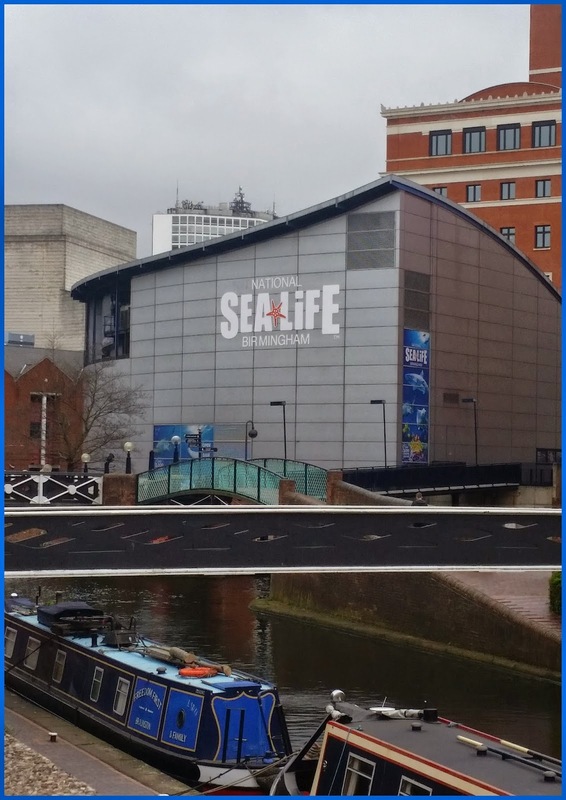 If you're in Birmingham or even just outside, the Birmingham Sea Life Centre is definitely worth a visit. There's lots of wonderful creatures to be seen and lots of family fun to be had. There's something for everyone and suitable for all ages. 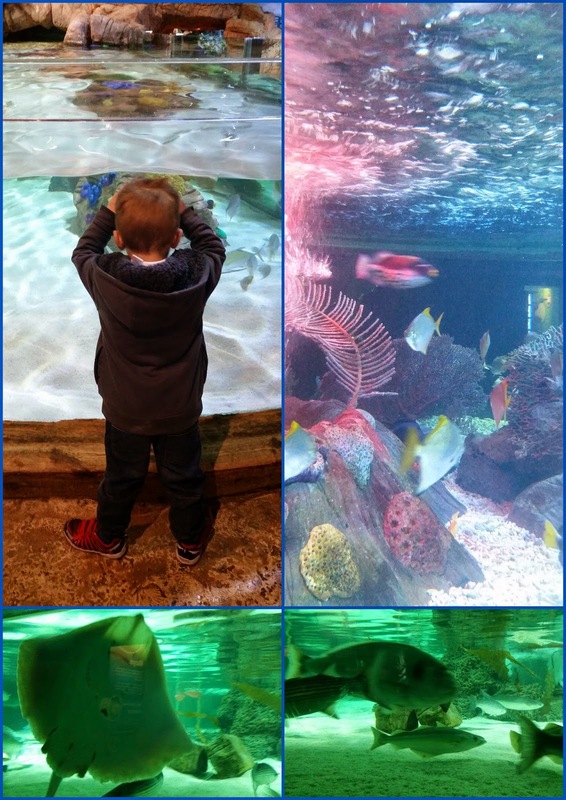 We love our local Sea Life Centre and are so lucky that it's so close to our home. The magic of the Sea is never far away! Out of all the wonderful Sea creatures we have to say, we loved the new Sea Stars. They were so pretty and it was really great to get up close and personal with them. We can't wait to go back and see them again soon. What's your favourite Sea creature? looks a fantastic place to visit! my favourite sea creatures are sea horses! they are so beautiful! We have one of these in Bristol, but we don't have Spongebob. I feel cheated, lol! Looks fabulous Christine, I've never been to a sea life centre. I'm sold I will have to take them boys in the holidays, so much to see and lots to learn. Thank you for sharing your wonderful experience. smashing photos too.